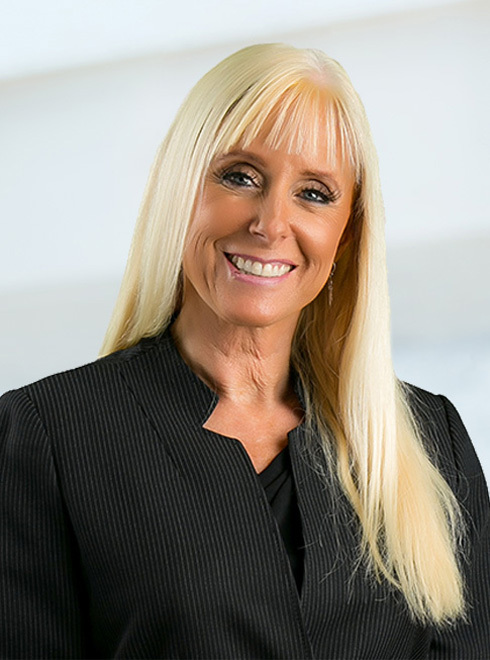 An active litigation attorney in California for over 30 years, Karen Karavatos has focused on making a positive difference in her clients’ lives. The desire to help people, coupled with the drive to live a meaningful life, motivated Karen to become an attorney and continues to inspire her career. Bringing extensive experience representing plaintiffs as lead counsel in complex, multiparty litigation, Karen joined Robinson Calcagnie, Inc. in 2001. On February 1, 2019, Karen was named an income partner at Robinson Calcagnie, Inc.
During her career as a lawyer, Karen has achieved significant recoveries for countless persons throughout the country through settlements and trials. Her practice includes representing victims of personal injury, product defects, wrongful death, fire damages, and consumer fraud. From inception to conclusion, Karen has successfully represented thousands of plaintiffs as both lead counsel and support counsel in complex and newsworthy lawsuits. Karen was born in Cambridge‚ Massachusetts. She relocated to San Clemente, California, with her family in 1970. Karen attended San Clemente High School and, at age 16, Karen passed the California High School Proficiency Exam and transferred to Saddleback Community College. Karen then obtained an Associate of Arts degree in liberal arts and transferred to University of California Santa Cruz. Karen earned a Bachelor of Arts degree from the University of California Santa Cruz in 1984. She then attended the University of San Diego School of Law and earned a Juris Doctorate degree from USD Law School in 1987. Karen has received several honors and awards during her career. Karen has received numerous awards in recognition of career accomplishments. Karen’s most recent awards include the Southern California Super Lawyers (chosen by peers as among the top 5% of Southern California lawyers) for 2015, 2016, 2017, 2018, and 2019. In 2018, Karen was chosen as a Top 100 by The National Trial Lawyers, an invitation-only organization composed of premier trial lawyers who meet stringent qualifications as civil plaintiff and/or criminal defense trial lawyers. Karavatos has authored numerous published articles. Such articles include the following: “Community Associations Dealing With Construction Defects” published by Orange County Lawyer Magazine‚ September 1996; “Mitigation of Damages or Spoliation of Evidence: The Repair Dilemma” published by Community Associations Institute Orange County Regional Chapter Construction Defects Digest‚ 1995; “Funding Repairs and Experts During Construction Defect Litigation” published by Condo Management Magazine‚ December 1996; “Understanding Alternative Dispute Resolution‚” published by Community Associations Institute California Southern Counties Chapter HOA Digest November/December 1993;” and she was a periodic author of Condo Hotline for the Daily Pilot newspaper in 1990.